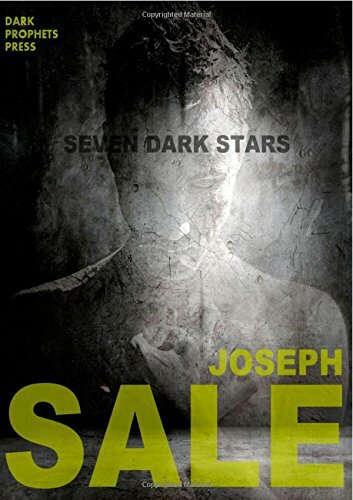 Seven Dark Stars: Blackness Absolute is a unique, beautifully made hardback edition of the classic collection, featuring 3 new stories by Joseph Sale and a unique competition-winning tale by Matthew Blackwell. Experience the darkness like never before. Seven Dark Stars is a new collection of dark fiction from the author of The Darkest Touch that looks to explore the glowing truth that burns hidden amidst the darkness in our lives. Inspired by the great horror authors of the past and present such as H.P. Lovecraft, Stephen King, and Harlan Ellison, this collection features the dark novella Grim: the story of Blake MacTire, a detective in the slums of Birmingham who’s confronted by a killer that believes his dead mother is alive again at the bottom of a lake. Blake’s sure it’s nonsense – only – he’s seen something in the lake too. Something awful and familiar. And it wants him. Alongside this longer tale are six short stories, each one casting light on things hidden in the abyss of our psyche. This book is sure to frighten, enlighten, and hold you until the final page. Seven Dark Stars is available in paperback and eBook from Amazon, Barnes and Noble, Kobe, iBookstore and other retailers.